roughly a 40% reduction in heating consumption. Let’s put these ideas to the test. Figure 21.3. 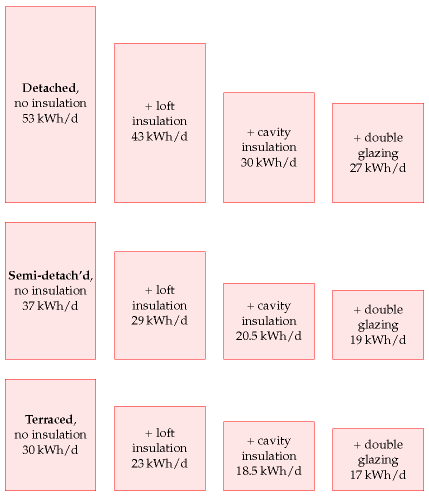 Estimates of the space heating required in a range of UK houses. From Eden and Bending (1985).